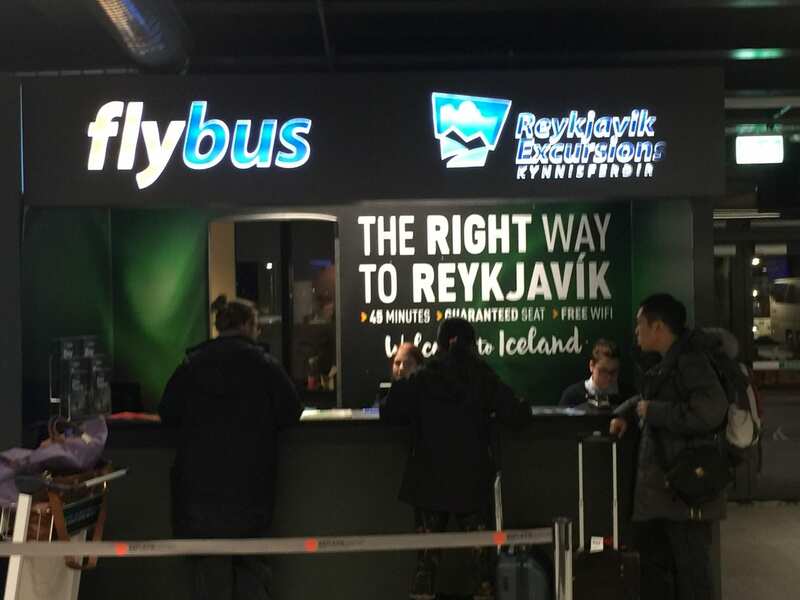 As mentioned in my previous blog entry, we came across this amazing deal of flying for $99 from Los Angeles to Iceland (direct flight). You just can’t beat that. We’ve heard of its beautiful landscapes (from the waterfalls to the geysers to viewing the Northern Lights). So why not go for it for $ 99? And we did. As always, we had so many things in our lives that took place while preparing for this trip. When we booked this Iceland trip in early November, we were then in the midst of preparing for our 10-day trip to Australia. I got really excited about planning for Iceland, and yet, we had yet another vacation to go to. Talk about conflict of interest, a conflict that I didn’t mind having. We got back from Sydney on Thanksgiving morning with enough time to prepare a hearty Thanksgiving dinner for the family. That same evening, directly after dinner, we went on a Black Friday shopping hunt. And so it began….we started to prepare for our clothing for Iceland….from gloves to scarves to beanies to jackets. I left most of the planning with Ana and Nancy. I was in charge of getting us the tickets, and booking our AirBNB stays. It was a good thing that six of Nancy’s coworkers went to Iceland in January. That gave her an idea of what to book. They went on a tour package, while we were planning on our own. Nancy was also in touch with our former neighbor, Helena. She was from Iceland and gave us many tips for our trip. If there was one thing I won’t be doing in Iceland, that is driving. I’ve joined forums in TripAdvisor and a subreddit, VisitingIceland. It’s quite obvious that I’m more used to driving in Southern Califor nia. While we’ve been getting our fair share of our much needed rain, I was warned that it does not compare to the changing weather in Iceland where one moment the conditions will appear perfectly fine, then the next minute it will be a gust of wind, pouring rain, or snow. So there, I’m leaving all the driving to the experts – the tour bus operators. For this trip, we will spoil ourselves, sit back, and relax . I’ve also read many horrible stories about car rental in Iceland where some folks paid more than what they needed. Or, were charged for things not even caused by them. Whether it’s true or not, I’m glad that I don’t have to worry about those issues. deals, there’s a tradeoff – that meant that we had to pay for everything else (should we choose to). Back in October when we book ed our tickets, we were allowed one Small Carryon (17x13x10 of up to 22 lbs). and one personal item 17x8x8 for free (a purse or a laptop). However, in January, their policy changed, Each guest is permitted 2 items in the cabin. 1 personal item (free) and 1 carry-on bag (paid). Since I booked our trip BEFORE the policy changed, I sent @WowAirSupport a tweet and inquired. I was informed that we fall under the OLD policy since we booked it last year. Thanks to Twitter, so I have their response on record. We will go back to this again a bit later. Just you wait. I think no matter how much Nancy and I say we’re good when it comes to packing, I guess we’re really not. Each of our trips have been quite different. When we go to Hawaii, we bring our carry on luggage, and truly have no need to worry about what it is that we might forget. For Europe, it all depends on the season. In the summer, no need for heavy clothing or warm footwear. Plus, it will also depend on the airline that we will take. We tend to also fly budget airlines in between European countries. To prepare for this trip, Lord knows that we did our fair share of shopping online and in person. It’s “too bad” that we live close to the Camarillo Factory Outlet. We went there many times and visited The North Face, Merrell, Columbia, Nike, Timberland, Tommy Hilfiger, Tumi, and so much more. You could just imagine how our Master Bedroom looked like for the past two months. Everything we got were in shopping bags and we finally put everything together on Monday night (the night before the flight). We had a portable weighing scale that allowed us to check the weight of our luggage. Most of our jackets were packable, meaning these thick bulky jackets will disappear into one little packable ball, I love that! Nancy and I were up all night, but at around 2am, I decided to go to bed. I needed to sleep since I’d be driving to LAX. We got up at 4:45am, we showered, got ready, and kissed the kids goodbye. By 5:45am, we were on the road, but not for long. I had to stop by my office in Newbury Park. I had left a few items that I was working on. By 6am, we were back on the road towards LAX. We did come across a little bit of traffic slowdown, but it was no big deal. We made it to 105 Airport Parking in no time. By 7:30am, I self-parked and then we boarded a shuttle to Tom Bradley International Airport. The ticketing agent counter at LAX opened around 8am. It was a good thing that we had already printed our boarding passes the night before. We were advised to go to a shorter line. We must’ve been the 4th in line at the time. Jenny, the ticketing agent, advised us that there was a charge for our carryons. “Here we go,” I said to myself. I told her that it didn’t apply to us because we booked BEFORE the policy changed. I even sent WOW a tweet. She didn’t even know what a Tweet was. I showed it to her, and clearly, WOW replied that we were allowed a small carryon and a personal item. She insisted that they’ve been charging everyone for a carryon, and of course, I insisted that I’m not “everyone.” She called her supervisor on the phone, and a miniute later she said that she’ll note our booking that @WOWAIrSupport allowed for this free carryons. Crisis averted? One would say…yes. It was good that I came prepared. I’m glad that I had my conversation with WOW documented on Twitter. After leaving the ticketing agent, we proceeded up to the 2nd level to security. No issues there. Lines weren’t that long. By 8:45am, we made it inside the Korean Airline Lounge. How and why? Thanks to our Priority Pass that we earned from our Chase Sapphire Reserve. It gives us access to 1000+ lounges around the world for free. We’ve been at this lounge before (en route to Sydney, and when Evan and Nancy went to the Philippines). Honestly, it’s just a big, spacious lounge, but I’m not exactly thrilled with the food. If there was one thing I enjoyed, it was the ramen (instant ramen). Other than that, the lounge is just a perfect place to kill time, get on the internet, and eat a bit of snacks and drinks. Plus, it’s my only choice at Tom Bradley. I’m hoping that American Expre ss Centurion Lounge gets built here soon. Amex knows how to do lounges right. Nancy and I made our way down to Gate 130 a little after 10am. Ana and her hubby, Stephen, were not in sight. We finally saw them around 10:20, right before we began boarding. They left Corona this morning at 5:30am, but experienced major traffic caused by a car fire on the freeway. They needed to back track and didn’t think they were going to make it. Well, they did…..and gladly so. They made it just in time. There were no agents who measured or checked our luggage anymore. I guess unless your luggage or carryon looked huge, then you’re good to go. Other than that, the boarding process was a breeze. We were one of the first ones to board the plane. Another thing to note with WOW, you can select your own seats but there’s a charge for doing that. So we elected NOT to. I’ve read that WOW will try its best to assign you seats with your party. Nancy and I booked early in October, and it wasn’t until end of November or early January when Ana decided to join us. So in essence, we had two separate bookings. We all checked in online the day before our flight, and were both given window seats. Nancy and I were in Row 22, while Ana and Stephen were in Row 50. We finally made it inside the plane. Honestly, I don’t know what the big deal is. I’ve flown many airlines that look similar to WOW just like American, United, Delta, Jet Blue, Southwest, Ryanair, EasyJet. I’m sure there are differences, but with my naked eye, they all look the same. Again, I walked in NOT expecting to be WOW’d. But I was pleasantly WOW’d that “hey, there’s nothing wrong with WOW.” At the end of the day, you get what you pay for. If you want all the perks, then fly another airline. In our case, we needed to explore our options and I’m glad we did. Oh so here’s one more thing. After getting to our seats, I was looking for the recline button from our arm rest and there was none. So I thought, ok great…so I guess no reclining for the entire flight. Next thing you know, the passenger in front of me reclined his seat. The recline button is under the seat….so it worked out. I’ve also been warned that WOW flights are always delayed. I’m sure it happens, heck it happens to most, if not all airlines. This WOW flight boarded on time a nd left on time, so no issues there. When I got there, she gave me Hot Water for free, and even thanked me for bringing my bowl there instead of walking it down the aisle. So there, another great plus from WOW! Ask nicely, and you shall receive. Our flight landed on time – 4:20am local time. Everything was a breeze. Their immigration or border patrol agents were quick and efficient. We went directly to baggage claim to pick up our luggage, and just outside of customs, we found Dunkin Donuts and a few other stores. We decided to kick it there for a bit. There’s free Wi-Fi, and good enough for us to recharge before we began our Icelandic adventures. Before leaving the airport, we stopped by an ATM and took out local Icelandic Krona. Next entry….first full day in Iceland. Off to a great start……Enjoy and do some live shows for us! Yes….and very well, I might add…..
Iceland in February-brave choice! Really looking forward to the next post, keep up the awesome detailed writing, love it! Thank you. Brave indeed. Surprisingly, it’s mild today, our first day. Only in the 40s. I’ve had way colder weather than that in NYC :-). Stay tuned. More to come. Great post and great info! We are flying WOW to Iceland on April 1st – didn’t get the $99 but still got a great price. I know it’s still winter there through Iceland. Would love to hear/see your tips on clothing and especially boots to pack.